Originally founded as the exclusive online destination to preorder runway collections, Moda Operandi has, since its inception, branched out to also include in-person private trunkshows. In the past few weeks, I attended two chic events that introduced new collections to Moda’s New York and a limited-time online audience. 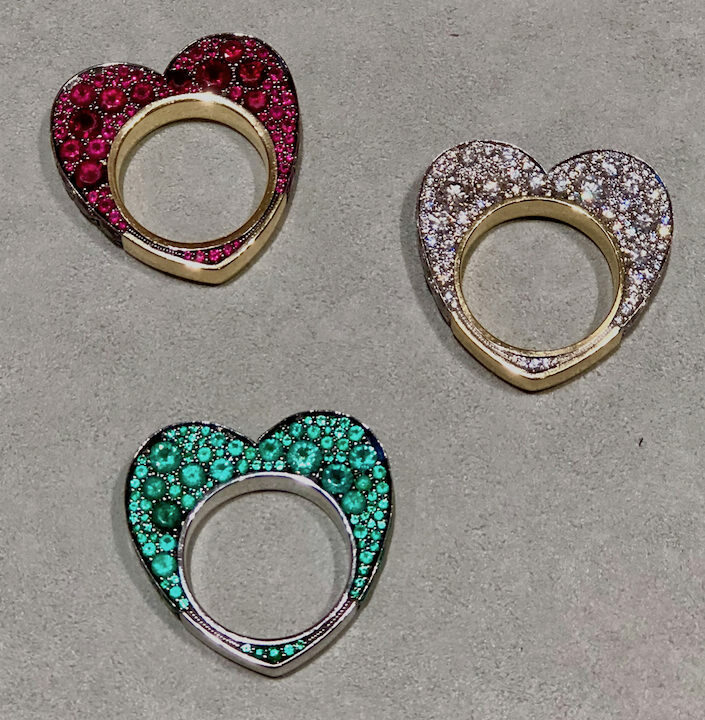 In the crowded luxury jewelry category, Jessica McCormack has already made a name for herself in London, where she shows her exquisite diamond collection in a gorgeous Mayfair townhouse setting. 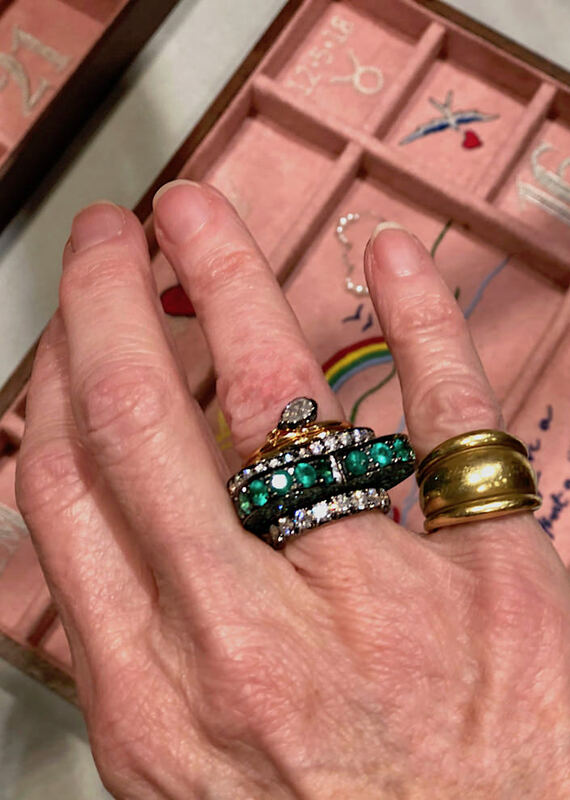 Each piece is handcrafted and thoughtfully created for a mix and match aesthetic that encourages individuality – a layered stack I took for a spin above – and the flat view of the Heart Rings below (the blackened emerald version included in my stack). 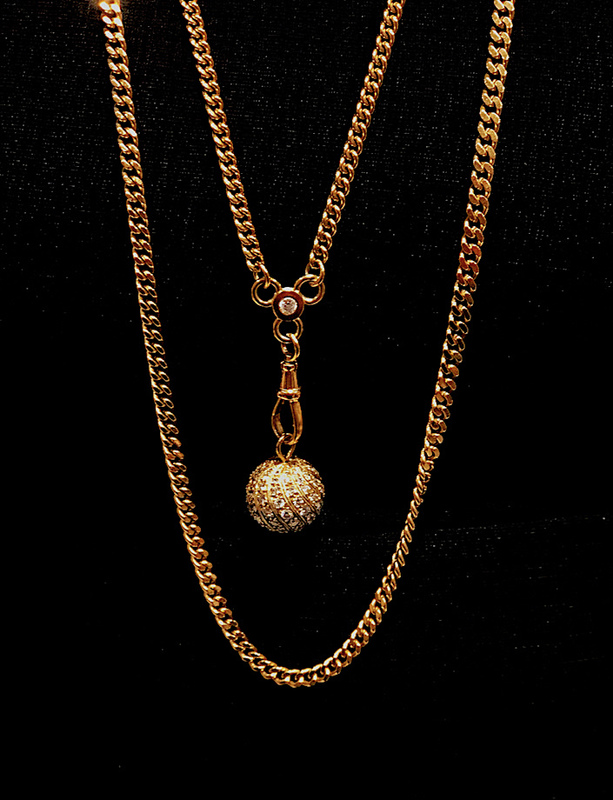 Each piece is handcrafted and within the selection personally curated by Jessica, a runaway favorite was her signature Ball n Chain collection. 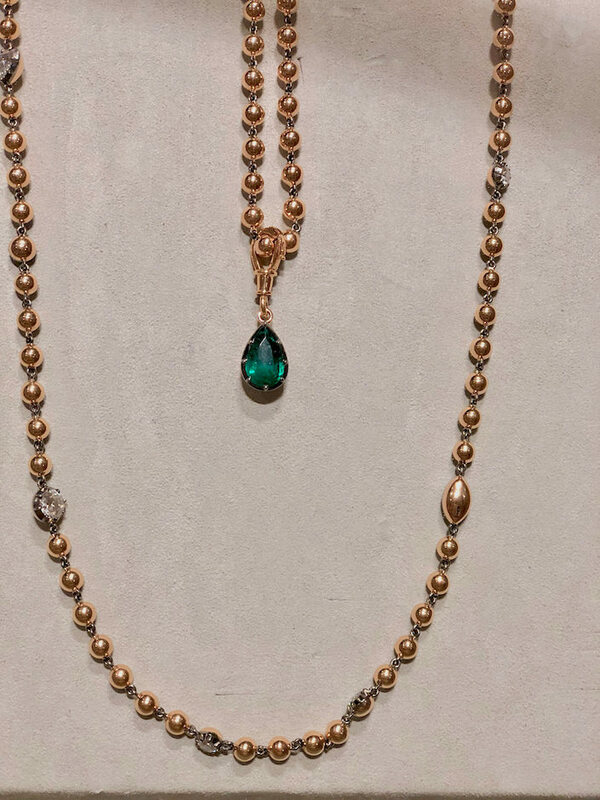 With a vintage look and weighty feel, the necklaces are available in a variety of configurations, with optional detachable pendants. 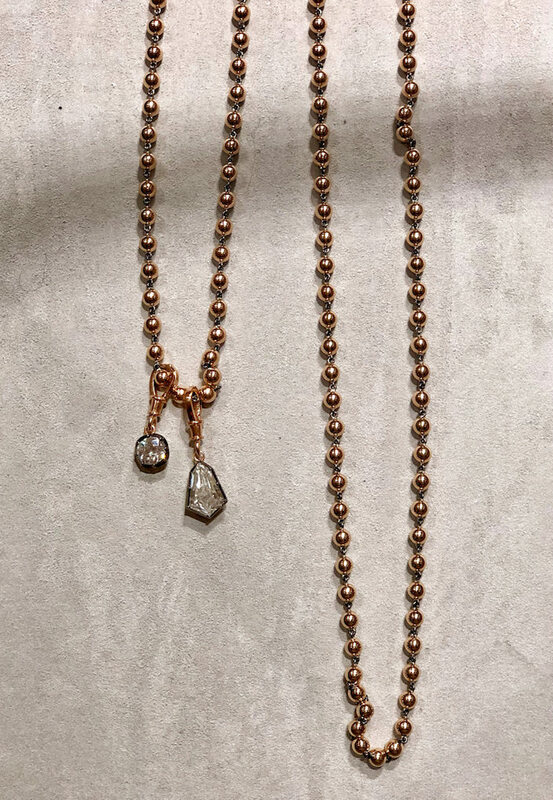 The layering possibilities are endless as they are with the Dark Side of the Moon necklace, below, both transforming the concept of a man’s fob chain into the epitome of femininity. 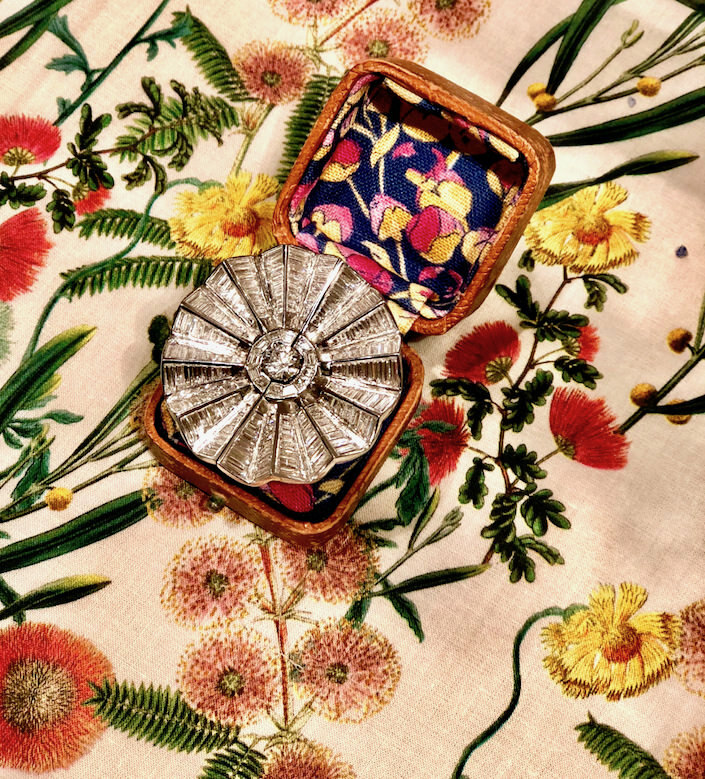 Emphasizing the link between old and new, many of the pieces were shown in charming vintage cases, like the Wave of Desire ring below. 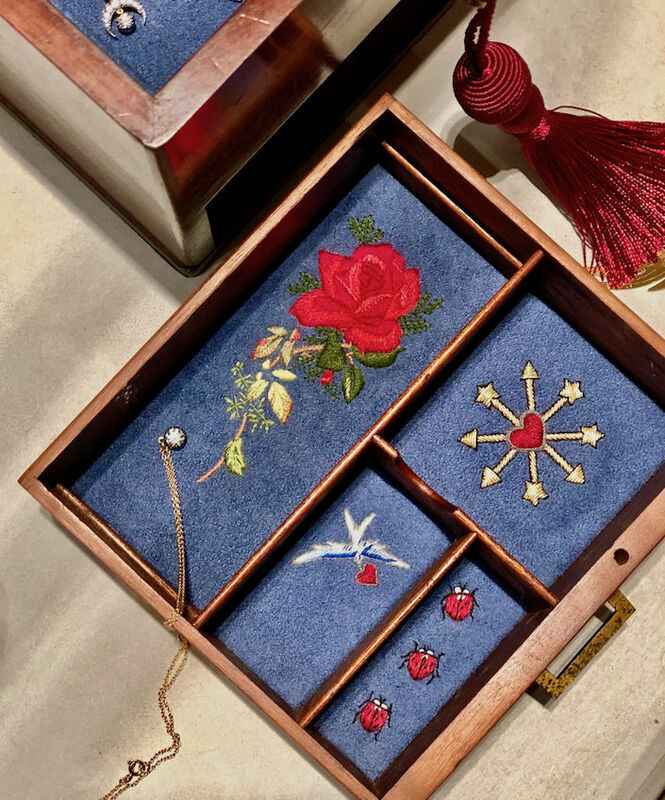 And for a very special home for your precious jewels, Jessica McCormack launched her Bespoke Jewelry Box collection for the first time in New York. 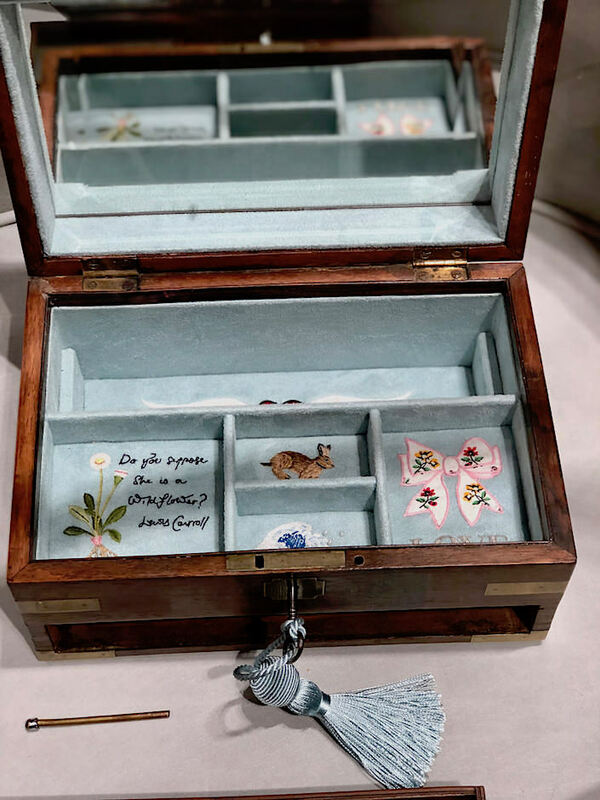 Using antique boxes, the interiors are lined in suede and hand embroidered by heritage house Hand & Lock – the JM Lovers box below. 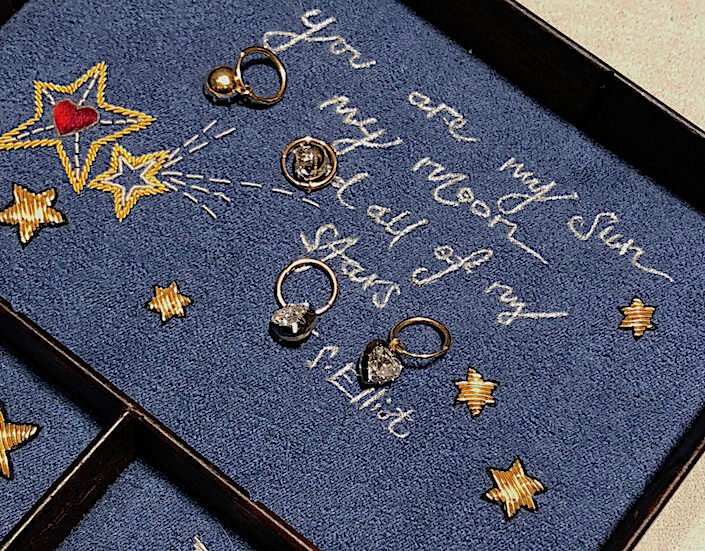 Below the box Jessica made for her daughter Estelle for her first birthday, a keepsake destined to become a family heirloom. 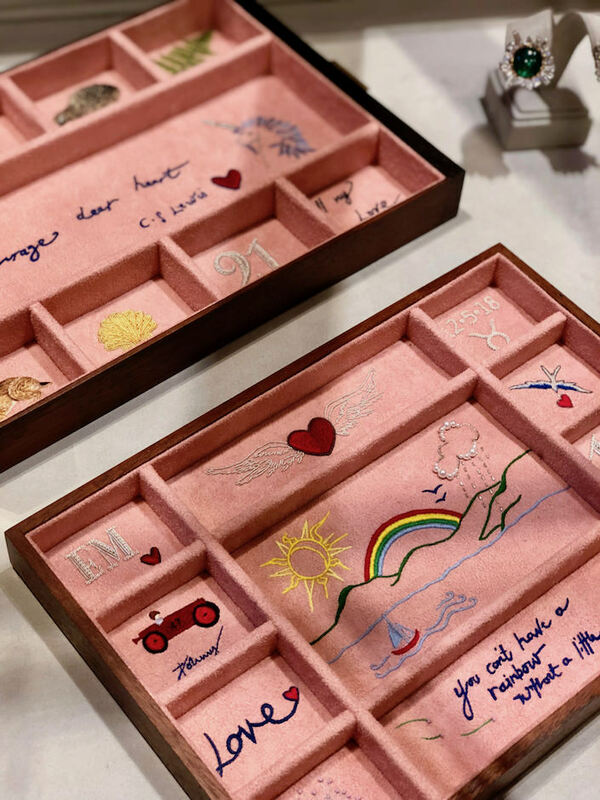 While some McCormack-designed boxes are in stock, you can also create your own with personalized messages and imagery. 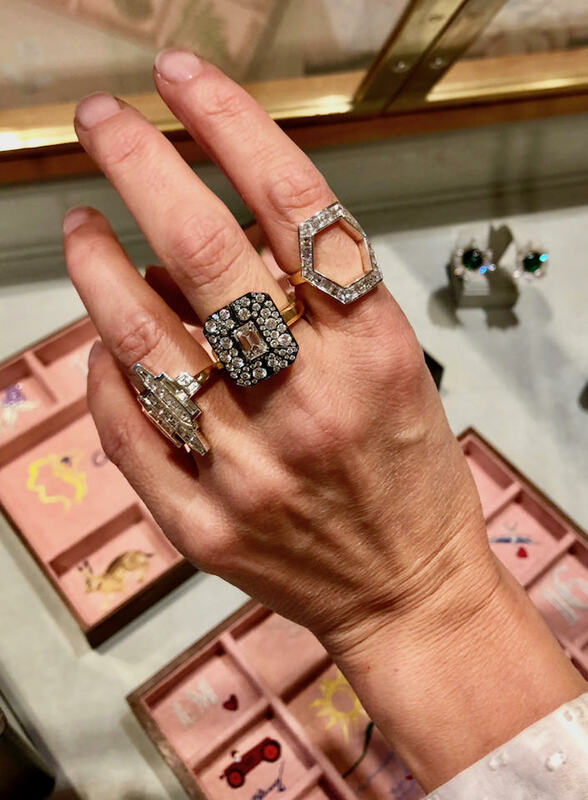 The Jessica McCormack Diamonds trunk show continues through tomorrow at Moda Operandi, after which you can contact them directly or even better, make an appointment to visit the 7 Carlos Place townhouse to see the collection in person or create your own bespoke piece! This entry posted in fashion, gifts, interior design, jewelry. 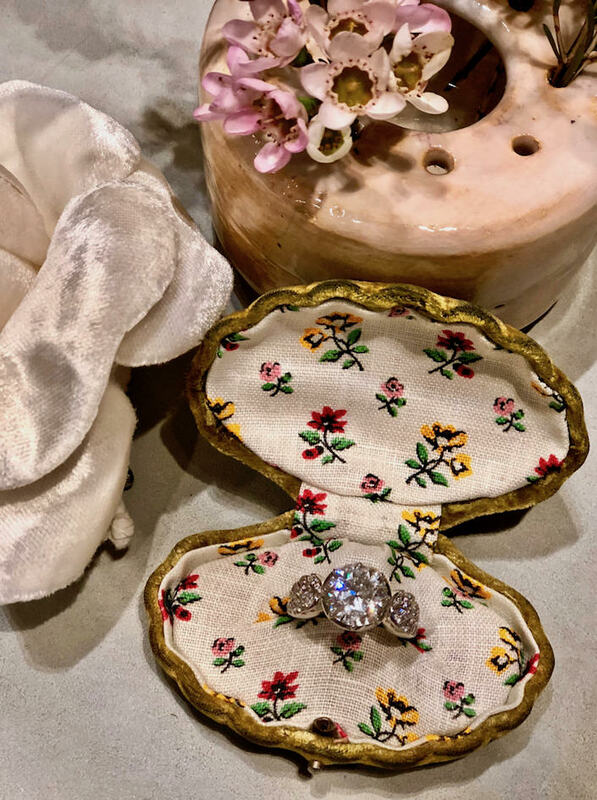 Entry Tags: bespoke jewelry, diamond jewelry, fine jewelry, Jessica McCormack, Jewelry, jewelry boxes, Moda Operandi Bookmark the permalink. LOVE THE GOLD PINKIE RINGS STACKED……..I DO THAT! These boxes are old FLATWEAR BOXES!!!!! POP OVER and see who I am interviewing TODAY on the AGELESS STYLE SERIES! SHE resides in London Town and is a BIG BLOGGER!!!!!! 81 queries in 0.378 seconds.